COSTA MESA, Calif. (Jan. 11, 2019) – The Costa Mesa Police Department (CMPD) is proud to announce the promotion of one of its six lieutenants to the position of police captain. After a competitive promotion process, Keith Davis was selected to serve as captain and will oversee the Support Services Division. This includes the Investigative Services Bureau, Records and Evidence Bureau, Telecommunications Bureau, and the Office of Emergency Management. Davis, a 28-year veteran of the department, began his career at CMPD in 1991 and worked patrol until he promoted to sergeant in 2005. Davis’ supervisory responsibilities through his tenure as sergeant included patrol, gang enforcement, SWAT, and Emergency Services. In 2013, Davis promoted to lieutenant and for the first two years served as Area Commander for one of two geographic deployment areas. Meanwhile, Davis kept his SWAT assignment and would remain in that detail for 24 years, the last seven serving as SWAT Commander. He went on to serve as the Telecommunications Bureau Lieutenant until his recent promotion to captain, effective Dec. 23, 2018. Davis fills a vacancy left by former Captain Mark Manley after his departure in September 2018. 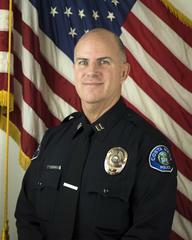 Davis has a Bachelor of Science degree from Texas A&M University, and he has accrued certifications from the California Peace Officers Standards and Training. He also graduated from the Sherman Block Supervisory Leadership Institute in 2012. Davis has been recognized as Officer of the Year and Supervisor of the Year, among other recognitions. He is affiliated with a number of law enforcement associations, including the National Association of Tactical Officers and the Orange County Emergency Managers Organization.